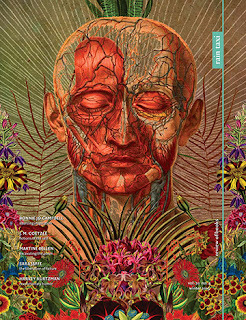 This piece first appeared in the Winter 2015 print edition of Rain Taxi Review of Books. Any fiction writer could sympathize with the feeling of frustration when beginning a difficult story, one that seems rich with possibility, but which the writer has not yet found a productive structure for. 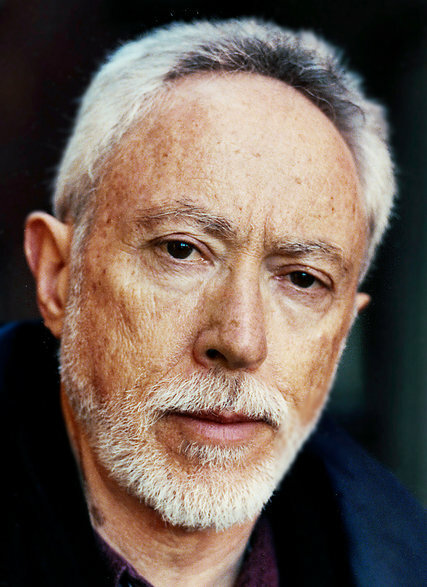 Coetzee’s frustration was heightened by his disaffection with the most common techniques of fiction. One of the many virtues of Attwell’s J.M. Coetzee and the Life of Writing, the first book to explore Coetzee’s manuscripts in depth, is that it shows how Coetzee’s novels serve to unite interests and challenges that are sometimes at direct odds with each other. Attwell shows over and over that the tensions inherent within this two-way process, the dance of world and text, fuels much of Coetzee’s writing, often providing the animating force for his work. J.M. Coetzee and the Life of Writing is not a comprehensive biography (for that we have J.C. Kannemeyer’s J.M. Coetzee: A Life in Writing, which Attwell’s title echoes, perhaps confusingly), nor is it a comprehensive study of Coetzee’s manuscripts (archived at the Harry Ransom Center at the University of Texas, Austin), as Attwell only spent five weeks with them and is more than aware that the wealth of papers will keep scholars busy for a very long time. Instead, Attwell’s book is a collection of glimpses and reflections. It provides detailed looks at the composition of some of Coetzee’s most famous novels, Life and Times of Michael K and Waiting for the Barbarians, and intervenes in some of the controversies over Coetzee’s work: the presence or lack of political commitment; the place of South African history and landscape in the novels; the purpose of metafictional moves (especially in Foe and The Master of Petersburg); the relationship of his most famous novel, Disgrace, to post-apartheid South Africa; the connection of his recent work, written after he moved to Australia, to the rest of his oeuvre. Though Attwell is a professor and an eminent scholar, J.M. Coetzee and the Life of Writing is not aimed at an academic audience, nor does it make much reference to the massive body of Coetzee scholarship now available. Readers with an interest in Coetzee will be those most attracted to the book, but it should not be ignored by readers whose interest is not so much in Coetzee as in writers’ creative processes. Very few books provide such careful, detailed, thoughtful study of the progression both of specific manuscripts and of a writer’s career. Coetzee himself did similar study when working on his Ph.D. dissertation at the University of Texas, where he studied Samuel Beckett’s manuscripts of Watt. Discussing this work in the early 1990s with Attwell for Doubling the Point: Essays and Interviews, Coetzee said of the Beckett manuscripts: “It was heartening to see from what unpromising beginnings a book could grow: to see the false starts, the scratched-out banalities, the evidences of less than furious possession by the Muse.” Beckett’s genius can, in its final form, seem austere, forbidding, even alien, and Coetzee’s genius is similar, his texts so carefully balanced, calibrated, and ambiguous that they hardly seem to come from a human being. 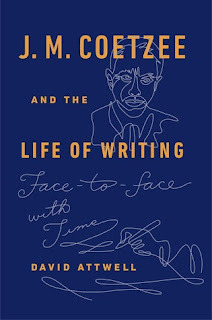 Attwell now allows us to be heartened (and fascinated) with glimpses of the human behind the texts, and with the ordinary writerly struggles that have led to some of the most extraordinary books of our era. Coetzee and Kurtz prove to be excellent interlocutors. 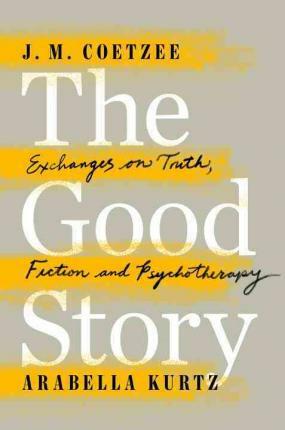 Coetzee is skeptical, but not hostile, and Kurtz embodies the extraordinary patience of a good therapist as Coetzee returns again and again to small, but significant, distinctions and insights. 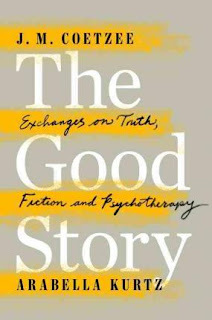 Though the first few sections of the book have tedious moments as Coetzee and Kurtz establish their positions, the discussion soon goes in productive directions, and it is the differences between the two writers that allows their conversation to be richly suggestive and ultimately meaningful. (Coetzee’s banal dialogues with Paul Auster in Here and Now showed nothing so much as the peril of listening in on a conversation between two people who agree most of the time and share a lot of the same references.) Their conversation ranges across a wide variety of topics, from group psychology to teaching to W.G. Sebald, but at the core of the book is the question of what can be known about the self. 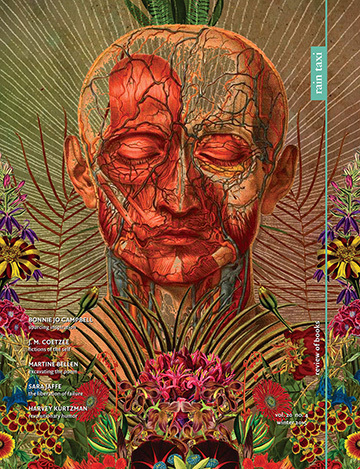 The difference between their two views is ultimately not so much about fiction and fantasy as about epistemology: what can we really know of ourselves? Kurtz sees some truth as accessible beneath our fictions of the self, some reality beneath the fantasy. Coetzee isn’t so sure. J.M. Coetzee and the Life of Writing and The Good Story are utterly different books, but they both help us understand Coetzee’s commitments and quandaries, and they show us his extraordinary mind at work as it wrestles with the questions that have obsessed him from his earliest publications—questions of fictionality and representation, of language and truth, self and other, suffering and joy.